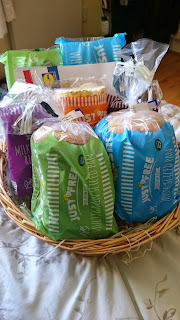 Lidl launched their own gluten free range called "Just Free" this week! I was wondering for a good while where the gluten free bread had gone from Lidl. I shop in there every week because it's more convenient to my home and I couldn't find gluten free bread on our weekly shopping run for a number of weeks. It turns out Lidl were replacing the bread and introducing an entire range. Now gluten free shoppers have two options when it comes to a more wallet friendly range of gluten free products. 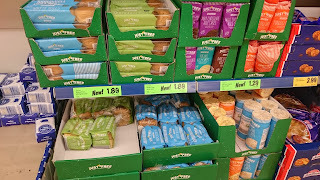 From my investigations (I went to a few Lidl stores to check out their shelf placement) I discovered that most have moved the entire range away from the bread section so it's not going to be where you normally found the last batch of their breads. They're altogether nearer to the baking goods and veg sections. I'm definitely good with this move, having it next to the baking area wouldn't have really worked for me. In the range they've got white and multiseed loafs, buns, queen cakes, madeira cake, chocolate orange cake, sausages, and pudding so far. They'll be adding more later in the year. Below is their press release and price list. I've only had the bread and buns so far, I'll be munching my way through the range over the next little while and I'll keep you all posted ;). 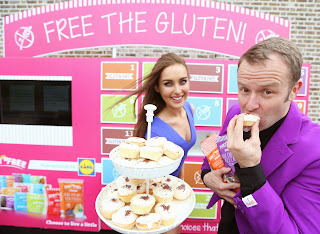 Retailer Lidl this week launched its dedicated own-brand range of gluten free products in style with a pop-up live game-show in Dublin’s CHQ. 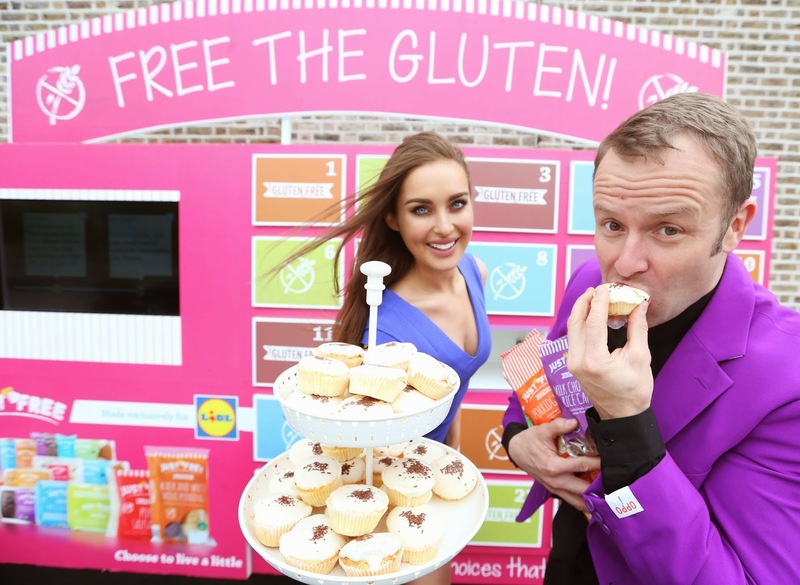 To celebrate the roll-out of the new ‘Just Free’ range, comedian and host Jack Wise urged people to ‘free the gluten’ in a bid to win hundreds of euro worth of vouchers and Just Free products. The range includes twelve great value gluten free products which are available now in Lidl’s 143 stores nationwide from as little as 99 cent.While Lidl already stocks a selection of coeliac-friendly products, this is its first dedicated own-brand range of gluten free products. With an estimated 46,000 people in Ireland living with Coeliac Disease, the range has been developed exclusively for Lidl in a bid to provide customers right across Ireland with greater access to quality gluten free options without compromising on taste or price. 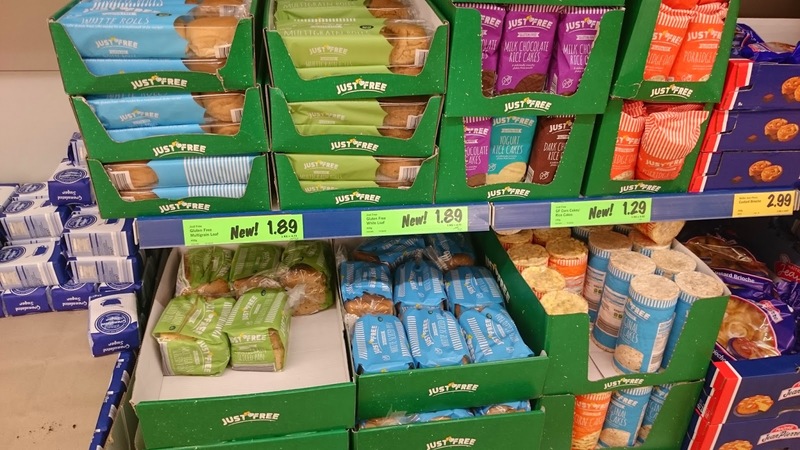 From daily staples like gluten free porridge oats and bread, to healthy snacks, sweet treats and even weekend favourites like sausages and pudding, customers can expect to pay between €0.99 and €2.79 for the new range. Sourced from a selection of specialised suppliers, including local Irish suppliers like Loughnane based in Galway, a second wave of gluten free products will also be added to theJust Free range later this year. **Prices correct at time of release. Remember to check out our TWO competitions this week! Coeliac Meal for Two with Two Gluten Free Beers in The Old Orchard Inn. Chance to win some Brew Dog Vagabond gluten free beers!